If you’re looking to feel suuuuper jealous for the rest of your day (or life), keep reading. We just found out that Fergie learned to kiss on screen from Milo Ventimiglia. This is basically your average high school daydream about kissing your crush for the school play so they suddenly realize how into you they never knew they were, times one thousand. It all went down on the set of Fergie’s “Big Girls Don’t Cry” music video back in 2006. Ventimiglia played her boyfriend in the video, which required them to kiss. A lot. Fergie remembers being super nervous, but said he guided her the whole way. "It was super fun shooting that video because I got to have some of the fun that Josh [Duhamel] gets to have on his movies," she told Entertainment Tonight, referring to her estranged husband. "Of course I was totally nervous about the whole thing. I didn't know how to make out for camera." Fortunately, it was Ventimiglia to the rescue. 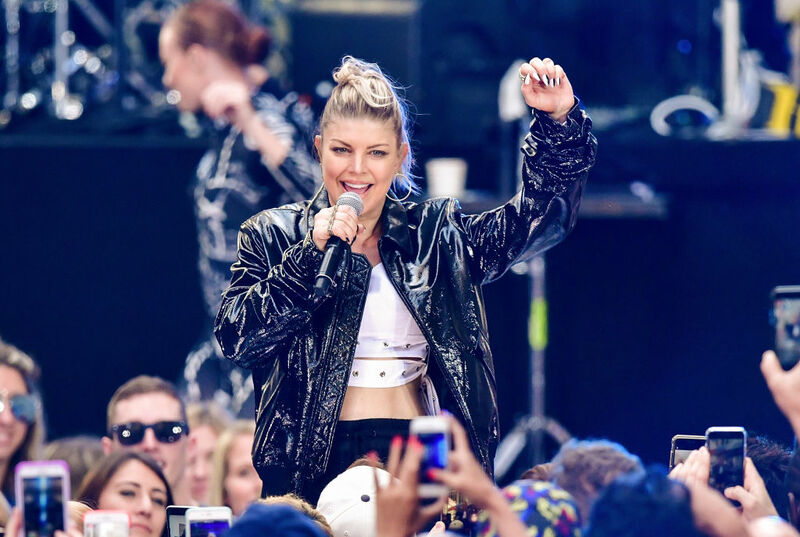 "I just had to tell him, like, 'Please help me with this,'" Fergie continued. "'I wanna just try to be in the moment, if you could help me. I don't wanna be thinking about where's the light and where's the camera because I'll just completely be hidden under hair.'" So, was he a good teacher? OF COURSE HE WAS. We’re totally not jealous of Fergie. At all, ok? We’re happy she got to learn to kiss for camera from Jess Mariano. It’s FINE. Not only does she get to fake-kiss him, she gets to fake-rub-her-hands-all-over-his-shirtless-body too. It’s not lost on us that Ventimiglia is giving off total Jess Mariano vibes in the video. Those tats. That smolder. That impenetrable exterior. Here’s the full video so you can see the extent of Milo’s teaching. ET also asked Fergie if she’s still a fan of Ventimiglia, and if she’s been watching This Is Us. "I do watch This Is Us, are you kidding me? I do live on this planet! It's such an amazing show. It's so great to see [Milo on the program]. He's such a great actor and really such a great guy." Sigh. Of course he is.